Charlotte in England: Postabloom + 20% off! Those lovely people at Postsnap (see my previous post here) have something wonderful hidden up their sleeve - Beautiful hand picked bouquets. 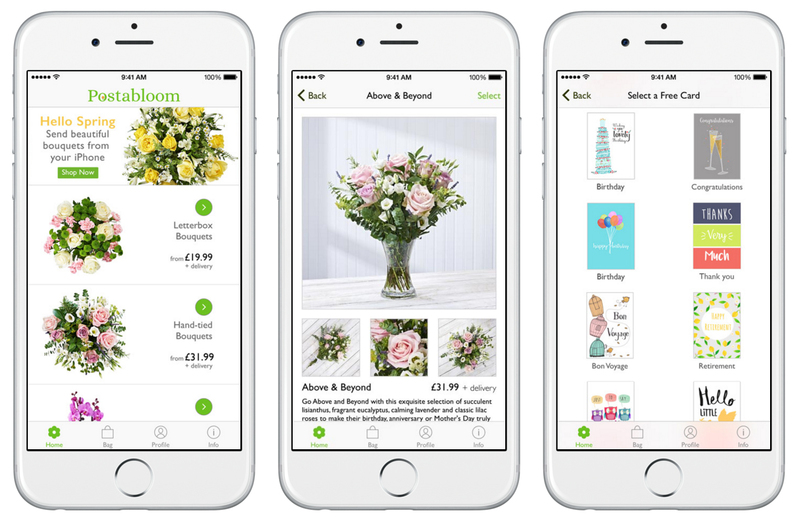 Delivered to your letterbox straight from your iPhone. If you're looking for a lovely (and super quick and easy) gift for a friend, family member or just for a little pick me up for yourself, Postabloom is the perfect way to do it! Download & choose your bloom. If you order before 3pm they get dispatched the same day. True to their word they arrived super quick. Perfect for those people who leave gift buying right until the last minute (guilty on that front). And the best thing? It fits through the letterbox so they don't even have to be at home, how convenient. The app is user friendly and really easy to use. Select your bouquet. This is probably the hardest part because they are all beautiful! Add the beauty to your basket. You will then be able to chose a FREE personalised card to go with the bouquet, alternatively you can choose 'no card'. Here you can choose the colour of the front design of the card. 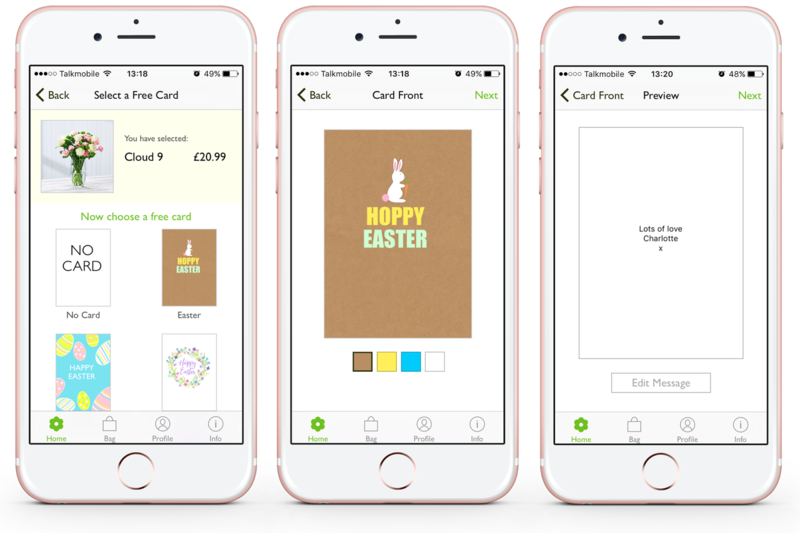 Tap next and add your message inside the card. If you make any mistakes just click Edit Message. This is where you can add your address details. 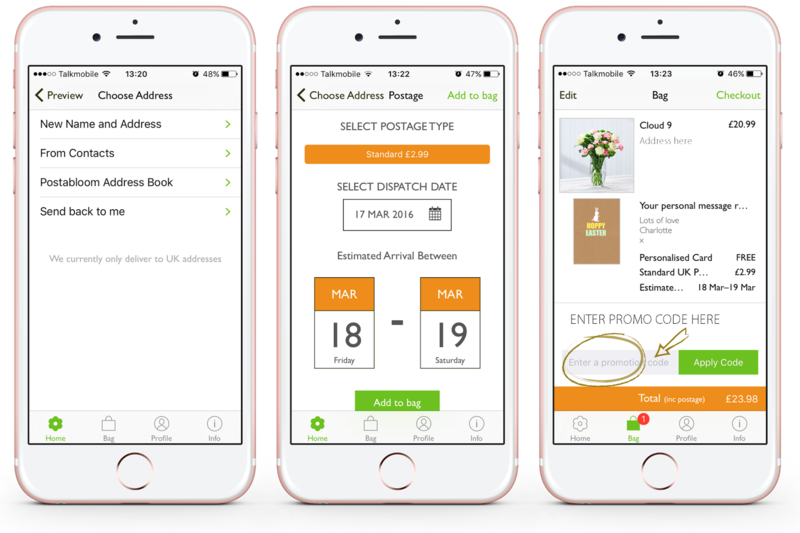 Once those details are added you can choose your delivery date. This will give you an estimated arrival time. If you order before 3pm the dispatch date will be the same day. Once you Add to Bag you will see an overview page. Check the address is correct and the internal card message, tap Edit to change. Before you checkout you can add that super 20% discount code! Tap Checkout at the top. You can pay with Apple Pay, Credit/Debit Card or Paypal. 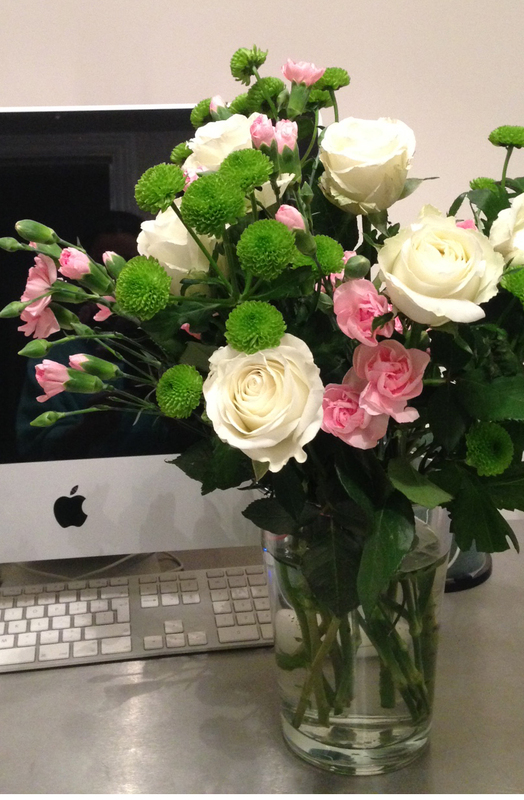 A selection of white roses, pink spray carnations and green santini chrysanthemums. Fancy 20% off your bloom? You can also buy plants and hand tied bouquets (these won't fit through your letterbox) from Postabloom! The Cloud 9 bouquet is delightful and smells divine. I am really impressed with their service. The whole process from downloading the app to delivery was effortless. You can literally whizz through and order in a few minutes! The delivery was quick too. The app was so easy to use. The flowers did fit through the letterbox as promised and were presented in a simple but cute box, wrapped nicely and tied neatly with a ribbon. They arrived in perfect condition and each flower was individually wrapped for extra protection. All you need to do is snip the ends, pop them in a vase and you're good to go. The personalised card is a nice touch and sure to bring a smile to someones face. Have you tried Postabloom? Which bouquet did you go for?